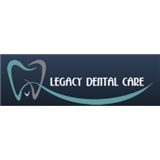 Legacy Dental Care (Kevin Kwan DDS Inc) (Huntington Beach) - Book Appointment Online! Our dental team is happy to welcome you and your family to our dental practice. We are delighted thatyou are thinking about joining our family of happy and satisfied patients. Our practice philosophy of over 30 years is centered on the belief that the foundation for better dentalhealth is based on mutual trust, respect, communication, and understanding. Our practice providesquality care with honesty, excellence, and integrity. We constantly strive to provide our patients withexceptional dental care that is specifically tailored to each patient’s needs. Our highly trained staff anddoctors are committed to providing you with the highest quality of dental care and we will do so in agentle, efficient, and caring manner. As soon as I walked in I was greeted with a smile and positive energy from everyone I was able to talk to! Kevin was extremely nice and professional. He made it easy for me to understand everything from payment to how future appointments would work. Happy to say this will be my new dentist office!